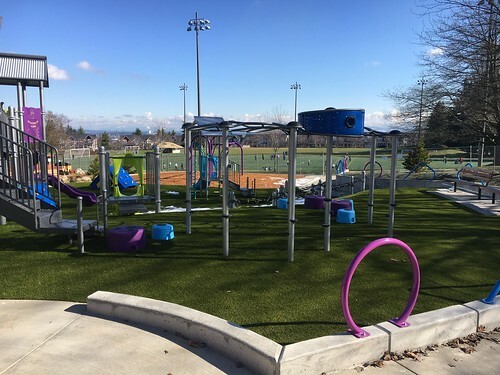 Seattle Parks and Recreation is hosting the final public design meeting for the new Lake City Skatespot at Virgil Flaim Park on Monday, Sept. 28, 2015 from 6:30 to 7:45 p.m. at the Lake City Branch Library located at 12501 28th Ave. NE. 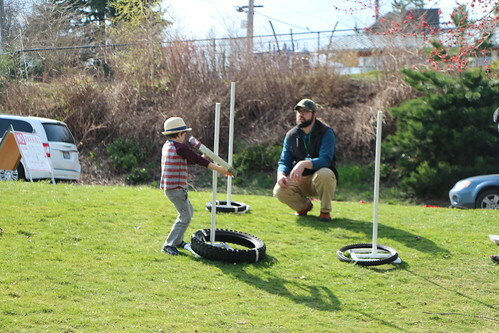 Seattle Parks and Recreation is hosting two public meetings on the Roxhill Park renovation project. 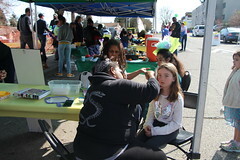 The meeting focusing on the skatespot is Monday, November 14, 2011 and the meeting for the play area is Wednesday November 30, 2011. Both meetings begin at 6 p.m. at the Southwest Branch Library located at 9010 35th Ave. SW.
At the first meeting, Parks and California Skateparks will present the latest design for the skatespot. The community is invited to view and comment on the skatespot design. A skatespot is smaller than a full skatepark, but large enough to incorporate multiple skateboarding features. The skatespot is expected to be 8,000 square feet. For more information on Seattle skatepark planning please visit http://www.seattle.gov/parks/projects/skatepark.htm. 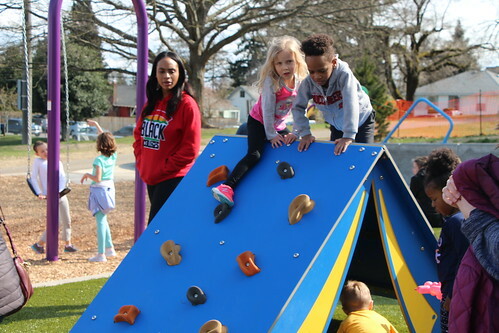 At the second meeting, Parks will present the proposed design for the play area renovation for Roxhill Park and gather input from the community. Roxhill Park is located at 2850 SW Roxbury St. in southwest Seattle. 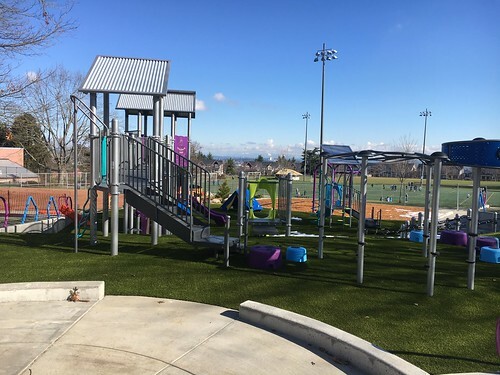 Funding for this renovation comes from the Parks and Green Spaces Levy that Seattle voters passed in November 2008. The $146 million, six-year levy provides acquisition funding for new neighborhood parks and green spaces and development funding for projects such as improved playfields, reservoir lid parks, renovated playgrounds, community gardens, and safety upgrades at city owned cultural facilities. 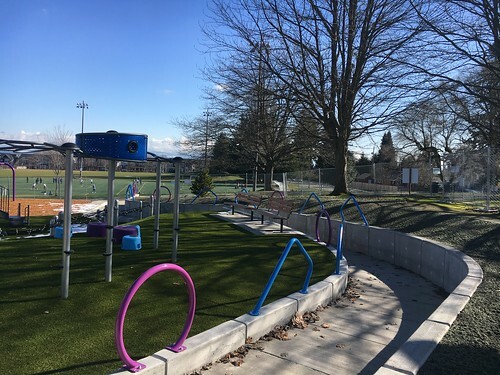 Seattle Parks and Recreation is hosting a second public meeting on the new Judkins Park Skatespot on Wednesday September 28, 2011 from 6 – 7 p.m. at the Douglass-Truth Branch Library located at 2300 E. Yesler Way. At this meeting, Parks and the design team will present the proposed design for the new skatespot and invite the community to comment on the design and how it fits into the existing park. A final meeting will take place in October, at which time Parks will present the final project design. Judkins Park is located at 2100 S Judkins St. in the Central District. The Parks and Green Spaces Levy allocates funding to incorporate this new skatespot into Judkins Park. A skatespot is smaller than a full skatepark, but large enough to incorporate multiple skateboarding features. The skatespot is expected to be 8,000 square feet. For more information on Seattle Skatepark planning, please visit http://www.seattle.gov/parks/projects/skatepark.htm. Seattle voters passed the Parks and Green Spaces Levy that Seattle in November 2008. 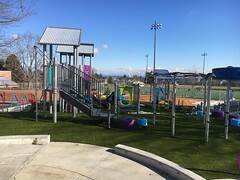 The new $146 million Levy provides acquisition funding for new neighborhood parks and green spaces and development funding for projects such as improved playfields, reservoir lid parks, renovated playgrounds, community gardens, and safety upgrades at city owned cultural facilities. For more information, please call Parks Project Manager Kelly Davidson at 206-684-0998 or email her at Kelly.davidson@seattle.gov.